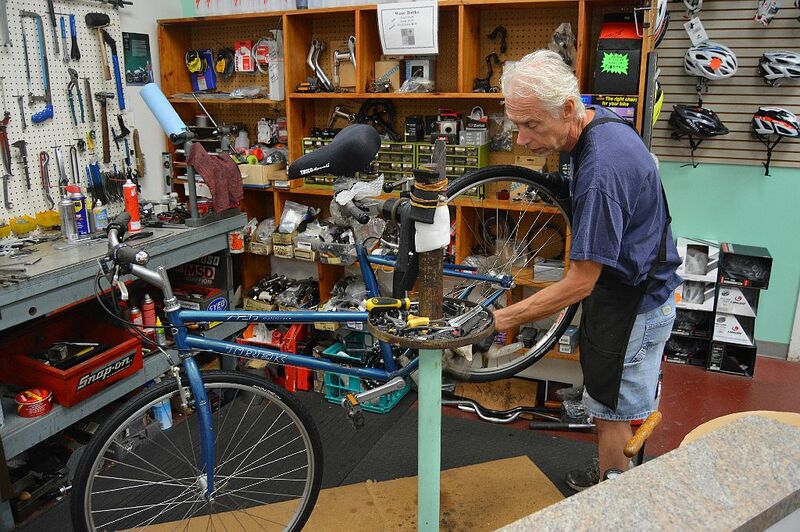 Since 1995, Mike and Heather Trost and their family have been Main Street in Clarence’s bike shop. Known for their customer service, brands and customer loyalty, Cycles Plus brings cyclists from all over Western New York and Southern Ontario to their 9059 Main Street shop. Owner Mike Trost conducting a tune-up. 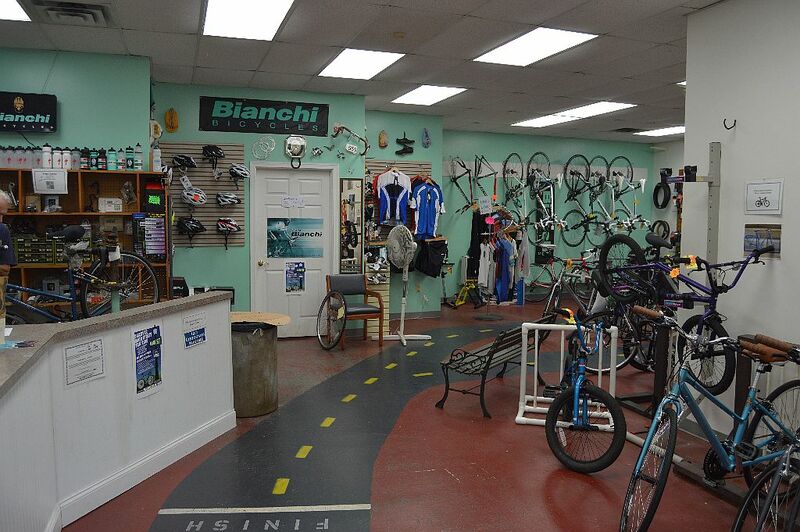 Cycles Plus are an authorized retailer of two beloved bike manufactures: Bianchi and Haro. The shop prides itself in delivering excellent customer service to an audience of bike enthusiasts who are eager to ride. On a recent visit, it was neat to see Mike doing a tune-up on a bike on the showroom floor. It allows engagement between customers and an expert. 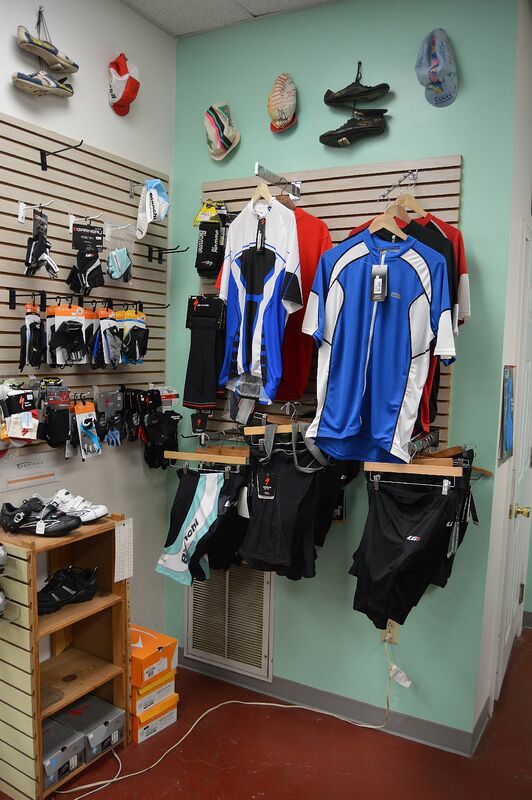 The shop also includes riding apparel as well as all the other things you would expect in a bike shop: tires, tubes, helmets, pumps, patches and more. 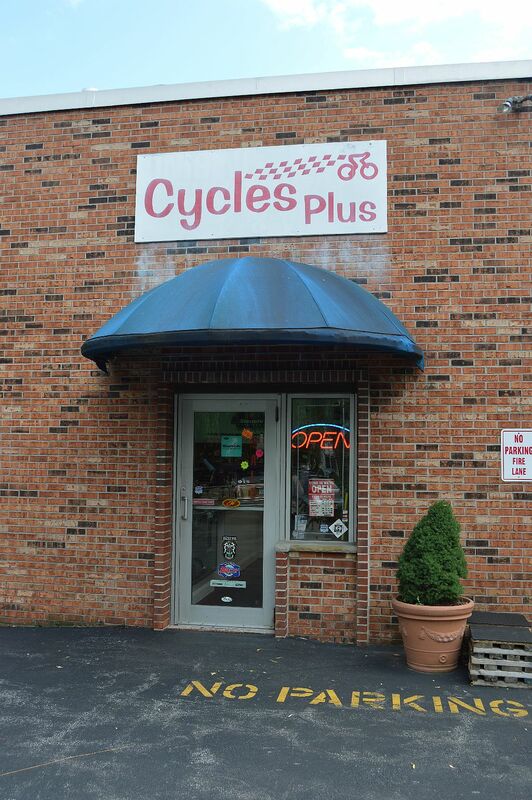 Cycles Plus is also playing an important role in the upcoming Discover Main Street Fun Ride on September 12th. From Wednesday, September 9th to Friday, September 11, you can bring your bike into Cycles Plus for a free safety inspection. 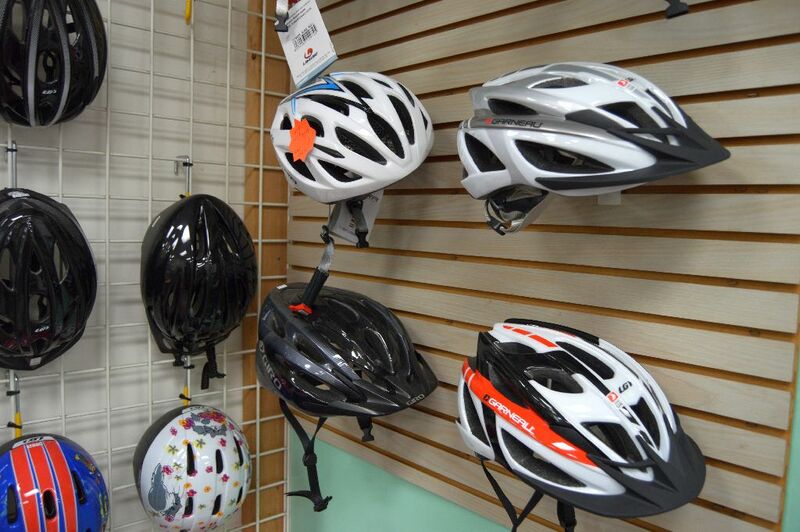 They will also run a 15 percent off sale on bike helmets for Discover Main Street Clarence Fun Ride participants.